For some people, they start on the track, others the woods or the football field. For me, it was the backyard, the front yard, the soccer field, the baseball tee (well that was more for cartwheels), these were all areas where I began running. But running to me was never a sport. It was something I did while taking part in other sports or just playing. It would not be until the third grade when the mandatory presidential physical fitness test was put into place, that I would realize my semi-enjoyment for running. After clocking in a 7:30 mile for a third grader, being the first female to finish, and coming in third overall, I realized that I could run. When I later told my mom about my success, she, of course, asked if I wanted to go running with her. My mother was a runner, age grouper to be exact, but was also successful at running growing up. What I would later find out was that I came from a family of runners. My great-grandfather would run races and finish well, my uncle was the runner of the ’80s for the Baltimore area, my mother was the only female on the high school track and cross country team. It was in my blood, so to speak. But the funny thing was, I still was not THAT interested. I did sign up for local one-milers and 5Ks, but when I did not win, I was REALLY not that interested. Why? Well, I was 9! 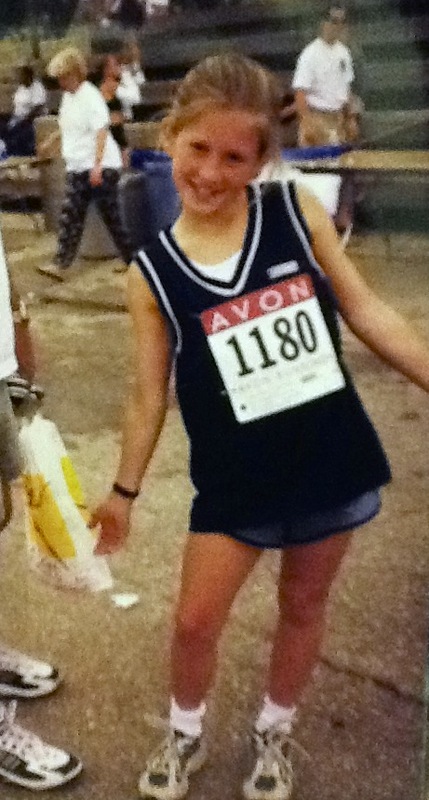 I was incredibly competitive (ie if I was not good at a sport, I stopped it all together) and hyperactive to the nines. My mind was constantly on the move. As a result, it would only be in school, where I would run. It was not until I graduated high school that I began to appreciate the sport. I ran for exercise, to compete, my sanity, and now it’s become a combination of those three as well as the fact that I love it! I may not be an elite runner like my uncle was, but I do pretty well. I was not forced into running as a child. I look back now and kind of wish I had tried. It probably would not have worked out because I wasn’t that interested in it especially if I did not win, but maybe that’s why I love it so much now. I admire those parents whose children are interested in the sport because they watch their parents compete in marathons and triathlons. It makes me smile seeing the up-and-coming generations getting out there and running. I was a kid who ran, and that worked for me.